I love making fun or pretty mini note pads. They are a fun project and go together quickly. 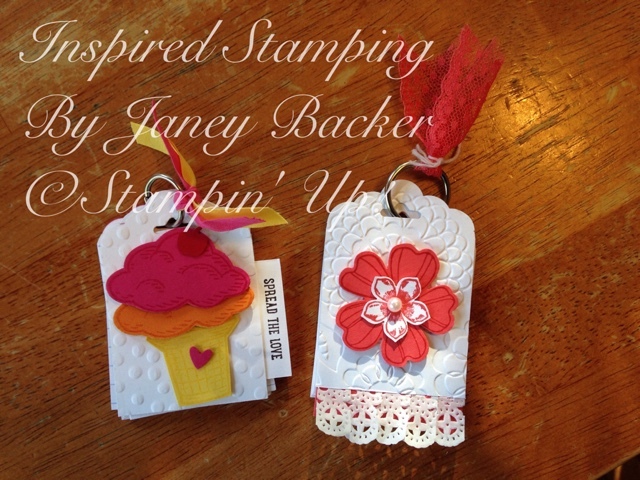 We made these at my team stamping night this month. Watermelon Wonder looks great as a flower on a white background. Do you like the lacey trim that I created? 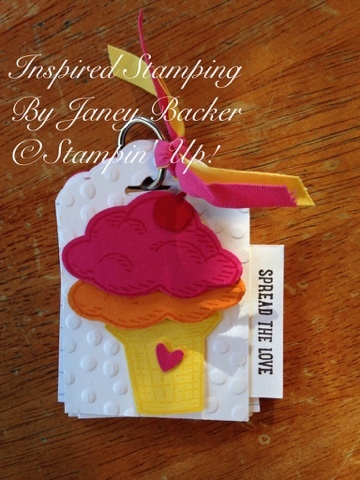 The ice cream cone from the "Sprinkles of Life" stamp set is very fun. 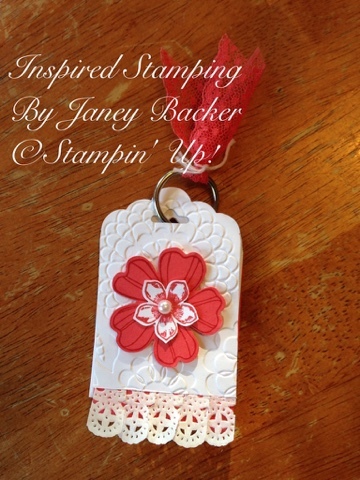 I loved this idea from my friend, Becky Roberts. 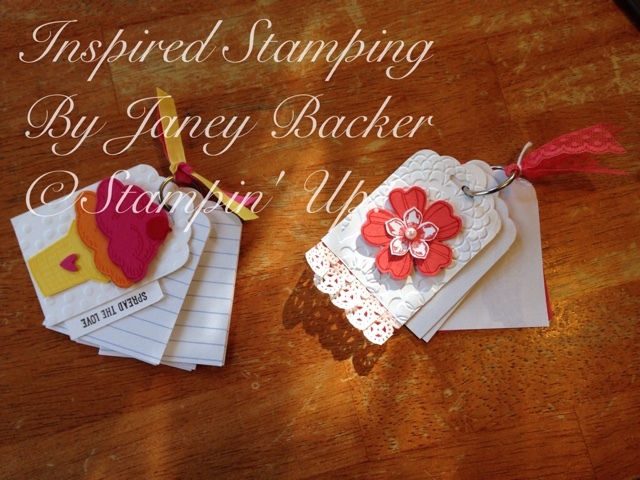 Each set is filled with index card pages cut to size to fit. Aren't they cute? What do you think? Please leave a comment! You can join my team: it is fun and a great way to connect and be creative!